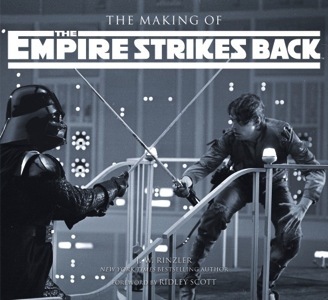 There’s a new book trailer out for The Making of Star Wars: The Empire Strikes Back, a book with a pretty self-explanatory title. The trailer is worth a look because it has some fun clips of Empire as well as some shots of the Lucasfilm archives. This is where author Jonathan Rinzler (aka Indiana Jones) discovered much of the material that went into the book. The book will be out on October 12th. Check out the trailer below.